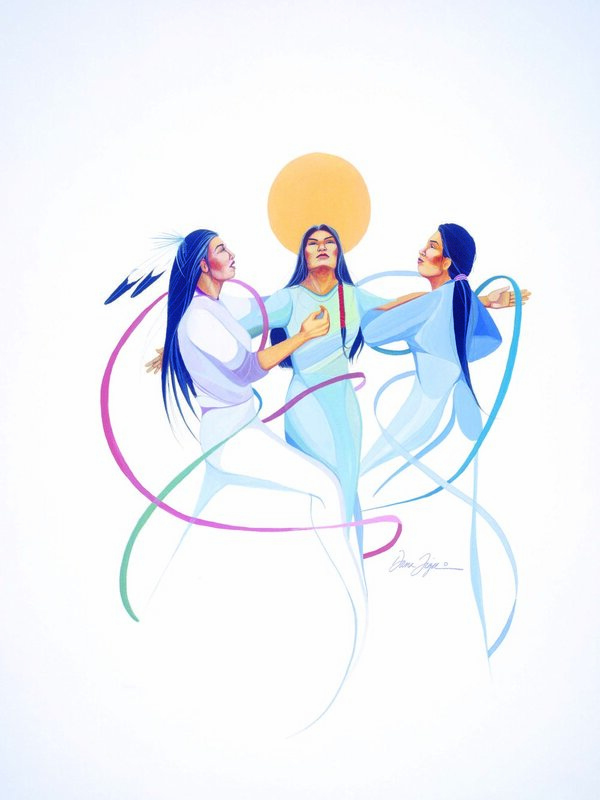 Dana Tiger is a very gifted artist who mentors young Native Americans by exposing them to their native culture. She is the founder of the Legacy Cultural Learning Community in Tahlequah, OK, an organization assisting youth in exploring their talents through workshops and gatherings where native craftsman teach youth skills such as pottery, basketry and bow making. 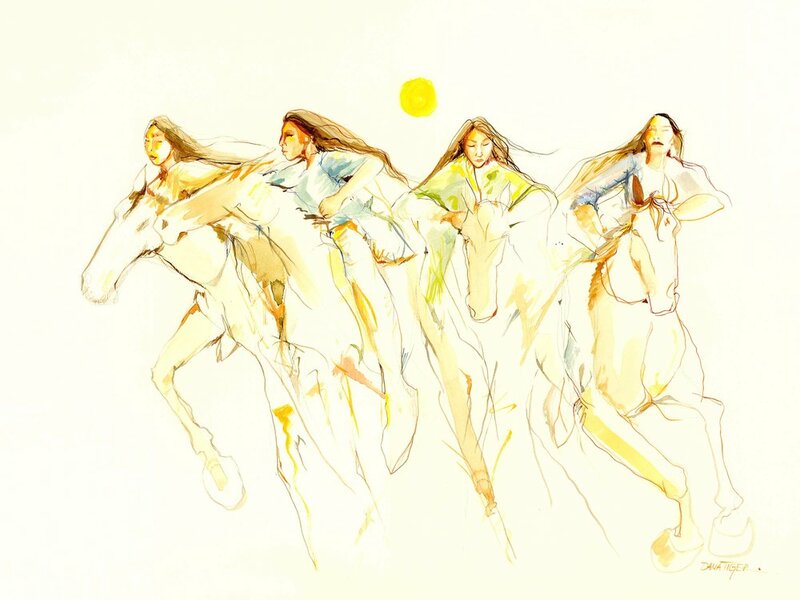 Dana says, "I paint the strong heart of women who care for their families and who have the courage to speak up for the land they live on. I see them and paint that determination." Her future plans are to build a "Creative Spirit House" in Park Hill, OK. 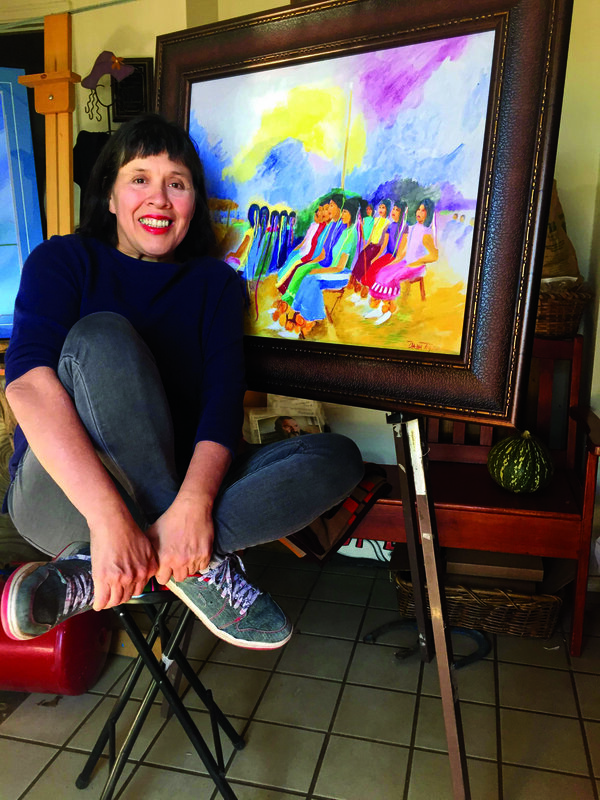 It will be used for art performance, teaching and student exhibit space to display youth art by students at Bacone College as well as youth from the Muscogee Indian Community and Sequoyah School. According to Pamela Iron, Executive Director, National Indian Women's Health Resource Center, Inc., "Dana is a valuable asset to both the Cherokee and the Mvskoke Creek communities. She selflessly donates her time as well as her art to help her community."